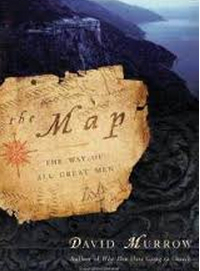 During our very first meeting of HolySmokes, we took a look at a book called The Map and were really pretty interested in discussing the concepts therein. Finally, we did this week. The concept is that the author, David Murrow, discovered a pattern in the Bible that all great leaders followed. Those who didn’t follow this “map” found their way to destruction and.or defeat. In the intro video he builds it up and then says “Do you want to see it?” The answer, of course was YES. We Watched all three (20 minutes total) and then talked about this map in great detail afterward. It was one of our longest meetings; we ran 30 minutes over. No doubt we could have continued debating this topic for much longer if we weren’t determined to be time conscious. Here is the two part series where David Murrow explains this concept in greater detail. If anyone is curious, David also wrote a book titled “Why Men Hate To Go To Church,” which is one of my personal favorites and a must read if one hopes to have a decent representation of men in your church. Here is a link to his website and to the book. While there was a lot of discussion, with many different action items for each man depending on where he self identified his place on the journey, here is a sample of some of the comments. Turning the corners on this journey is tough. It doesn’t matter if it is the first turn toward submission, the turn toward strength, or the final turn toward sacrifice. For some reason, we get headed in a direction and really avoid heading the other way. I’m in the foothills, definitely. I like the foothills. This group is helping me make the left turn toward submission. Early foothills for sure. Once I made the turn, I feel like there are thorn bushes and guys shooting at me. Stick with it. I feel like I traverse a few times an hour. I’m nervous, actually, about significant events. I have a hard time matching my intellectual curiosity with my faith. I don’t think I have ever submitted. My ego is pretty big. My default position is macho. It takes a conscious decision for me to start my day with submission. The good thing is that every day is a new chance at getting it right. « What is it about competition?